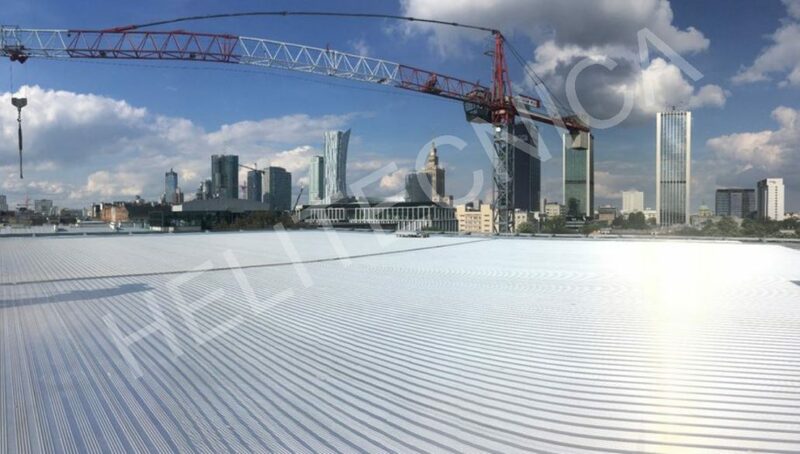 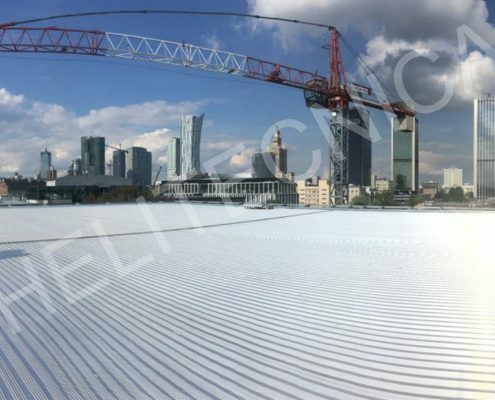 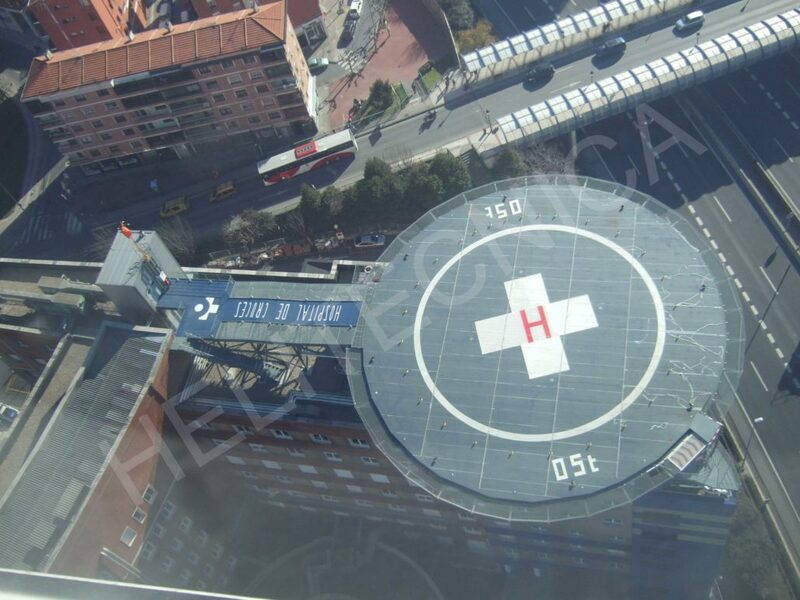 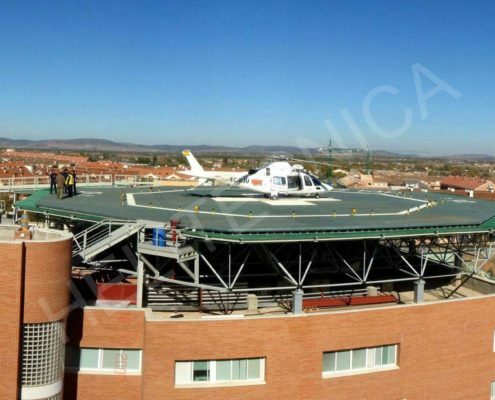 HELITECNICA heliports are ideal to be located on the top of hospitals or commercial buildings such as hotels. 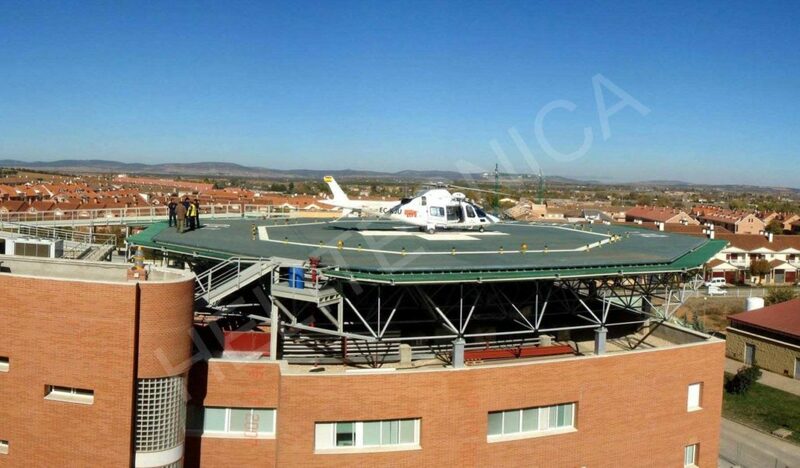 Rooftop heliports are ideal for state of the art hospital and buildings that wish to facilitate transport of patients and personnel. 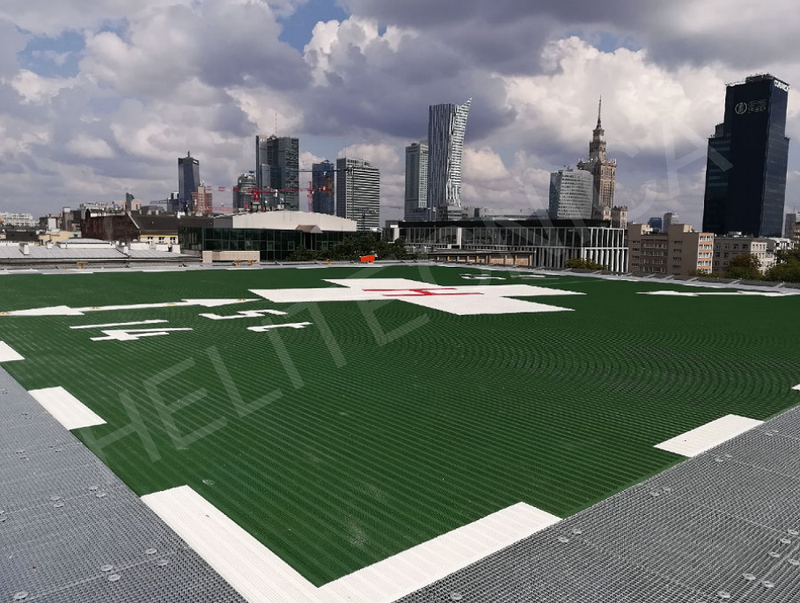 Our light weight helidecks reduce stresses on the existing structure of the building, reducing modifications to a bare minimum compared to other materials which are much heavier and require more attention. 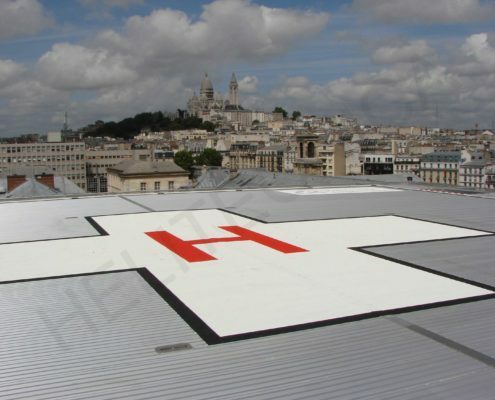 Our aluminum heliports can be easily installed, modified our removed from the rooftop. 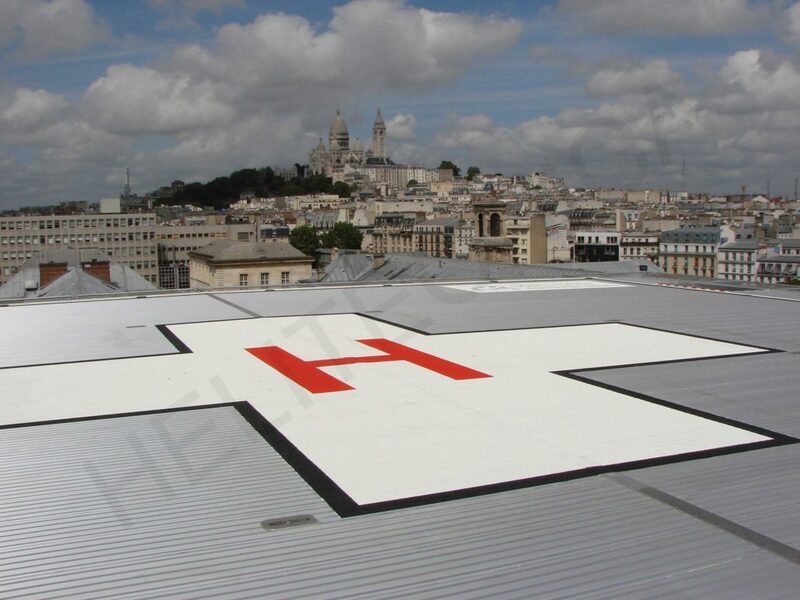 Our systems are compliant with regulatory requirements. 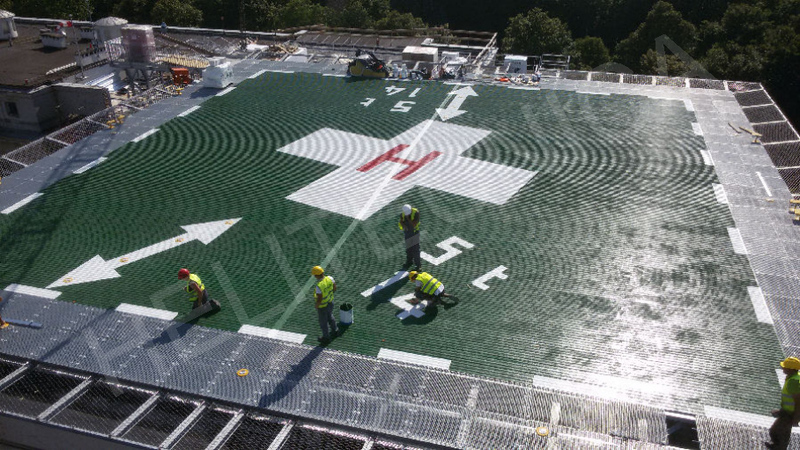 We have been able to maintain the resistance of concrete while being much lighter, easier to install, and exponentially multiplying the heliports durability. 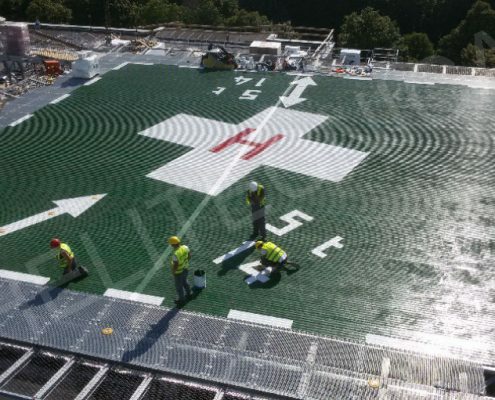 Personnel for the onshore industry is usually less familiar with the installation of heliports. 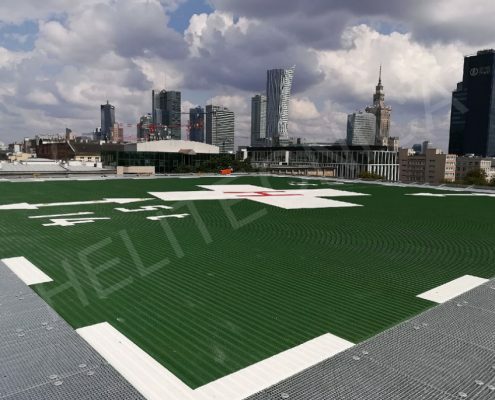 This is why we pay a special attention for these projects, a team of engineers and architects will be complete available at all time and we will provide assistance at site if required. 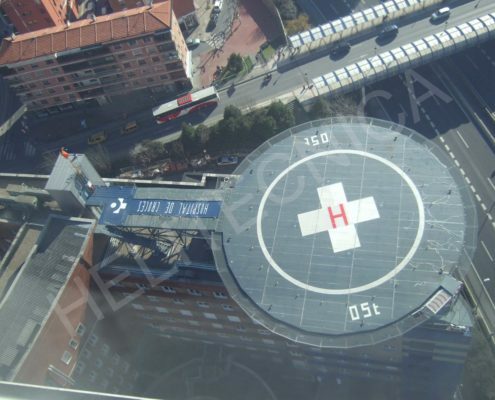 Check here our latest offshore projects.